Some lovely monkfish fillets caught my eye, so I had to put my thinking head on to create a recipe for tonight. Sauté the shallot and garlic in a little Fry Light until soft. Mix together the tartare sauce, yogurt and mayonnaise. Add the shallots and garlic mixture and mix well. Boil the soya beans for 10 minutes until very soft. Briefly blanch the samphire. 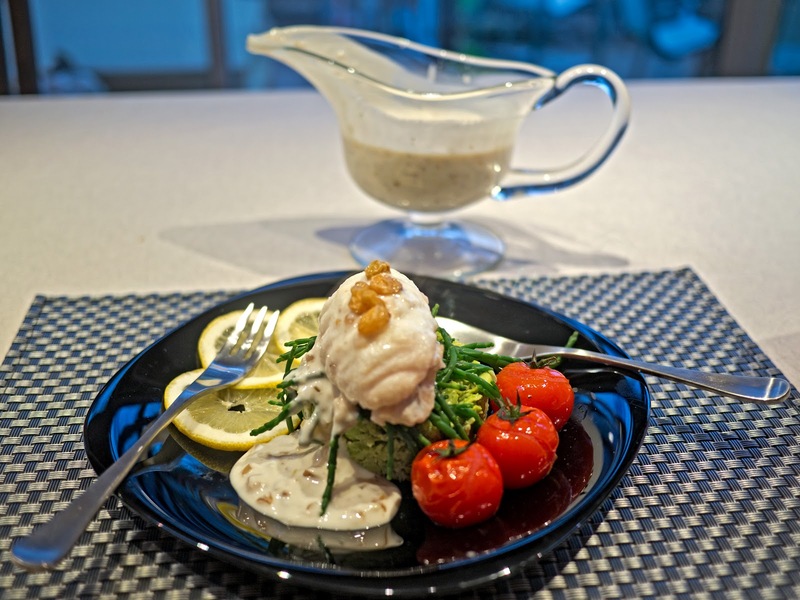 Grill the monkfish for 7-10 minutes, depending on the size. Drain the soya beans, reserving the water. Crush the beans with a potato masher adding a little salt and the mint sauce. Using a chef's ring, place the crushed soya beans in the centre of the plates. 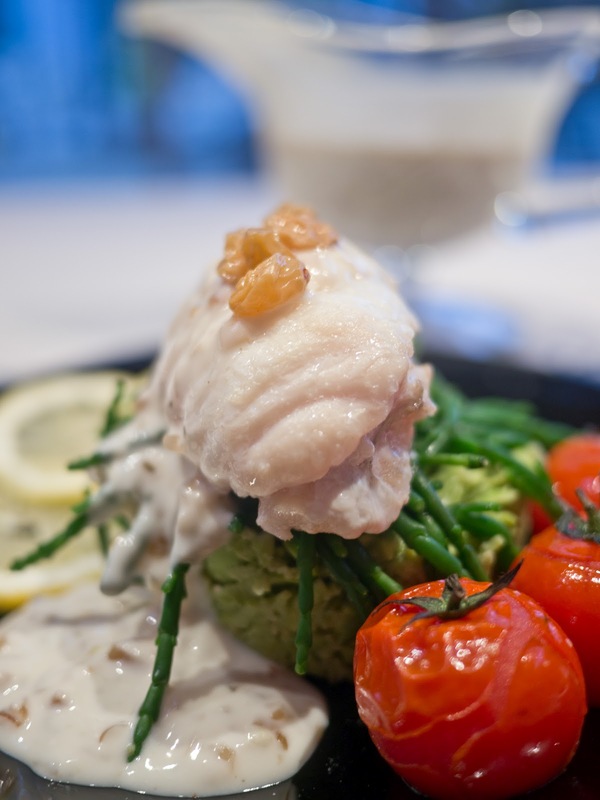 Top with the samphire and last the monkfish. Using the hot water from the soya beans, dilute the shallot mayonnaise mixture to a runny sauce consistency. Poor some over the monkfish, and serve the rest separately. Serve with grilled tomatoes. I also topped the whole thing with a few chilli sultanas, allowing ½ syn for 3g of sultanas. I keep a small jar of these in the fridge – they keep almost indefinitely and a great added to salads or like this, just a few to garnish a dish. Sultanas and fresh chillies squashed tightly into a jar and topped up with dry sherry. Keep for a few weeks before using to let the flavours develop. I also keep sultanas in balsamic vinegar in the fridge, as well as raisins in rum.